With concurrent shows opening at LACMA, the Guggenheim, and the Museum of Fine Arts, Houston, James Turrell is certainly in the spotlight this summer. 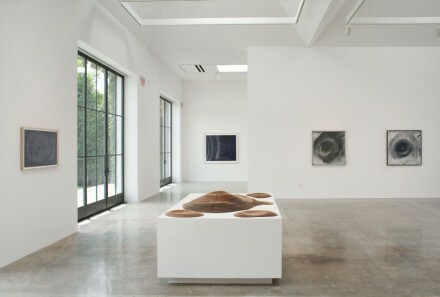 The Kayne Corcoran Griffin gallery is also joining in on the artist’s ubiquity, filling its new space on south La Brea with an exhibition focused on the Roden Crater project. 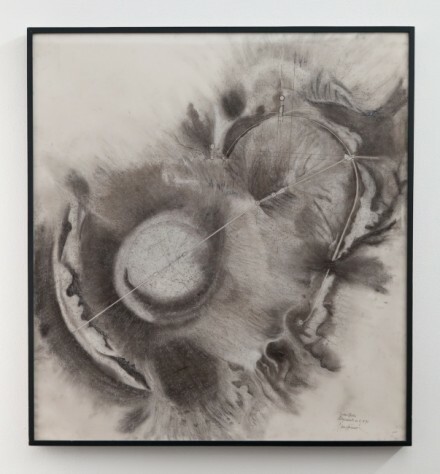 Aptly named Sooner Than Later, Roden Crater, the show examines Turrell’s unfinished transformation of the crater into a sight-specific masterwork that has been in development since 1974. Located outside of Flagstaff, Arizona, the Roden Crater is a monumental work of art, astronomy and architecture that will act as a naked eye observatory for viewing astronomical events. 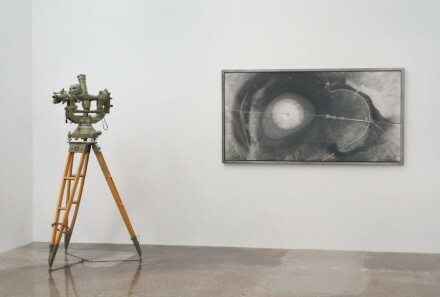 Within the crater, chambers and tunnel spaces have been completed that hold light to frame celestial phenomena like sunsets, lunar standstills and eclipses, in order to sharpen the viewer’s perception of the event and bring them closer to the heavens. Unlike most of Turrell’s immersive installations and projected works that focus on sense and perception, the exhibition at Corcoran Griffin showcases plans, photographs, drawings, and other materials that chart his vision for the project, providing a cerebral compliment to his experiential retrospective down the road at LACMA. 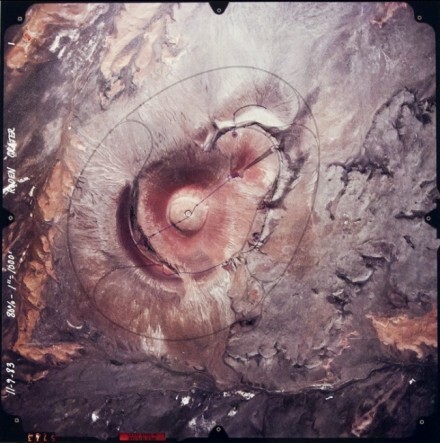 Photographs, blueprints, and site plans demonstrate Turrell planning process and initial renderings for the project’s construction. 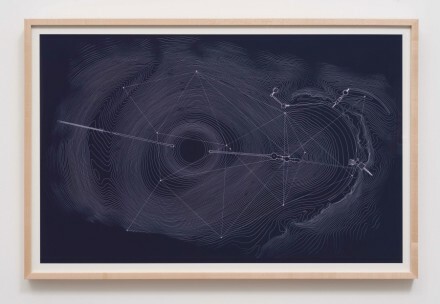 Dusky, dreamlike emulsion prints depict the geography of the site from above, punctuated by delicate diagrams. Viewing the site plans framed and beautifully installed makes it easy to fall into the trance of looking, as one would with an abstract painting. 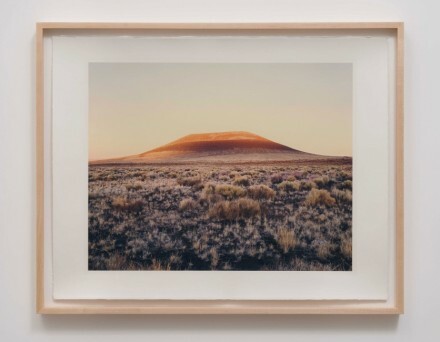 Turrell’s ongoing project has been the subject of numerous exhibitions this year, highlighting not only its promising potential, but also its impeccable ability to generate near-countless art objects as part of its process. 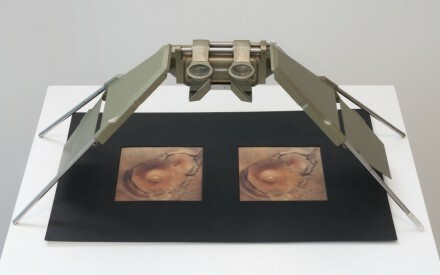 One of the latest iterations of his Perceptual Cell series, the Meditation Room, is a dome installed in the back of the gallery that is accessible only by appointment. The space is designed for two viewers to become fully immersed, experiencing the visual and psychological effects of a 15 minute program of strobing light, color patterns, and sound. Turrell described the experience as “seeing yourself see,” allowing you to perceive what occurs behind the eye. Although the show will close July 20th, the Meditation Room will remain on up through the fall. Turrell also designed major permanent elements in collaboration with the renovations of the La Brea property. He designed skylights in the galleries, a lighting scheme in the courtyard, and a Skyspace installation above the conference room that uses both LED lights and a retractable roof that opens up to the Los Angeles sky. 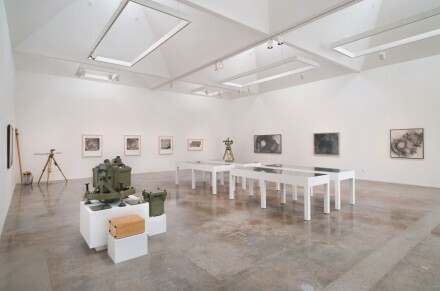 Turrell’s show at the gallery is a fitting complement to his expansive series of exhibitions on view this year, showcasing the artist’s ongoing practice on a smaller scale, all in conversation with his much grander statements on view nationwide. The show closes on June 20th. 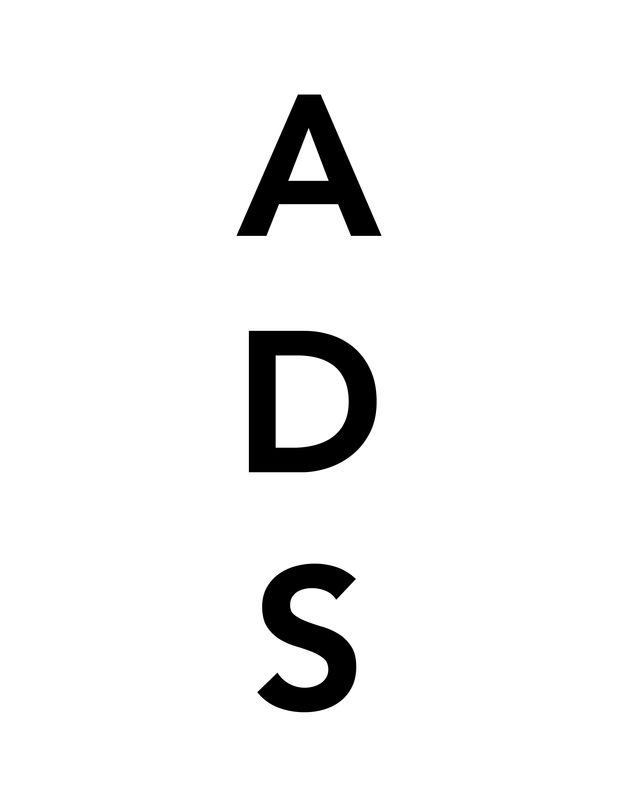 This entry was posted on Friday, July 19th, 2013 at 3:27 pm	and is filed under Art News. You can follow any responses to this entry through the RSS 2.0 feed. You can leave a response, or trackback from your own site.